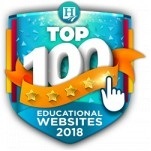 The Homeschool Buyers Co-op is pleased to present a GroupBuy savings for a 1-year school license for the award-winning, digital resources from Britannica Digital Learning, a division of Encyclopedia Britannica. Both programs are aligned to state and national standards, and have won national awards. Visit the Britannica Digital Learning website for more information. Fulfillment: Within 15 minutes of receiving your order, the Co-op will publish a username and password for your new account in your "My Subscriptions" page. This happens automatically. Just sign in to your Co-op account. Look under "My Subscriptions" for instructions and a link. Renewal Orders: The Co-op will notify Britannica Digital Learning of your renewal order. They will extend your subscription for an additional 365 days. We are sorry! This offer is open to US and CA Members only! Returns/Cancellations: If you are not completely satisfied with your subscription, you may request a full refund (excluding the Co-op service fee) if you do so within two (2) weeks of your purchase date. 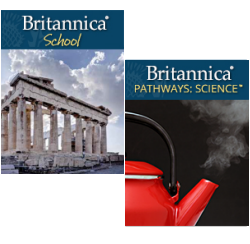 Britannica School and Pathways: Science Bundle - Best Value! 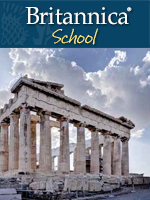 Enjoy Britannica School AND Pathways: Science for an entire year. For the entire family! See below for a description of each subscription. RENEWALS: If you currently have a subscription purchased through the Co-op, and you would like to renew, please see the "Britannica School and Pathways: Science RENEWAL" product below. This subscripiton can be enjoyed by the entire family for 1 year. Thousands of searchable encyclopedia and journal articles, images, videos, audios, primary source documents, detailed maps, editor-recommended Web sites, learning games, a world atlas, Merriam-Webster dictionary in English and Spanish, and a wealth of how-to research tools. Alignment with national and state standards. Daily updates with new articles and multimedia elements curated by the world's leading content and editorial experts. Reading levels that matches each student's ability. A single keystroke adjusts an article s complexity while maintaining the age-appropriate look and format of the page! Intuitive Search and Discovery -- Use the search box at the top of every page. Browse by subject or media type. Check out the weekly rotating content on the home page. Every search topic produces a wide variety of trusted sources to review. Robust Accessibility Tools - Students can use and cite an article as evidence in papers or projects, look up an unfamiliar word in the pop-up Merriam-Webster dictionary, print out an article or favorite it, along with images and videos, for later reference. Click to activate the text-to-speech feature or change the font size for easier reading. Mobile-friendly -- Enjoy the same outstanding viewing experience on a tablet, smartphone, laptop, desktop computer, or other Internet-connected device with a web browser. Ready-to-use lesson plans and the easy-to-follow Lesson Plan Builder to develop high-interest, standards-aligned lessons using Britannica School. 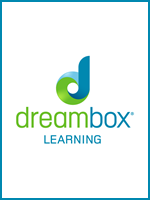 Create and share your lesson plans with other educators across the hall or across the country. RENEWALS: If you currently have a subscription purchased through the Co-op, and you would like to renew, please see the "Britannica School 1 Year RENEWAL" product below. This subscription can be enjoyed by the entire family for 1 year. Winner of the 2014 Teachers' Choice Award, Pathways: Science is an online, interactive approach to teaching the scientific method and transforming common science misconceptions in grades 6, 7, and 8. With 100 lessons tied to the curriculum, Pathways: Science uses a consistent Predict-Investigate-Conclude process that promotes inquiry-based learning, critical thinking, and conceptual change. Students examine their own misconceptions about science phenomena and learn to reach the correct conclusions by comparing and contrasting information, determining central ideas, evaluating arguments, and analyzing evidence. 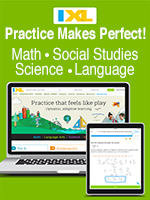 Extensive lesson guidance, flexible lesson plans, searchable standards correlations, and worksheets save preparation time for teachers. 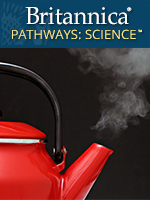 Watch a video overview of Pathways: Science. RENEWALS: If you currently have a subscription purchased through the Co-op, and you would like to renew, please see the "Britannica Pathways: Science 1 Year RENEWAL" product below. Your current Britannica Subscription MUST be active in order to renew! If it is expired, please place a new order for one of the products above. 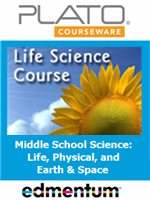 Add 365 days to your existing Britannica School and Pathways: Science 1 Year Subscription. 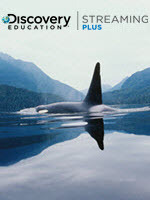 Add 365 days to your existing Britannica School 1 Year Subscription. Add 365 days to your existing Britannica Pathways: Science 1 Year Subscription.